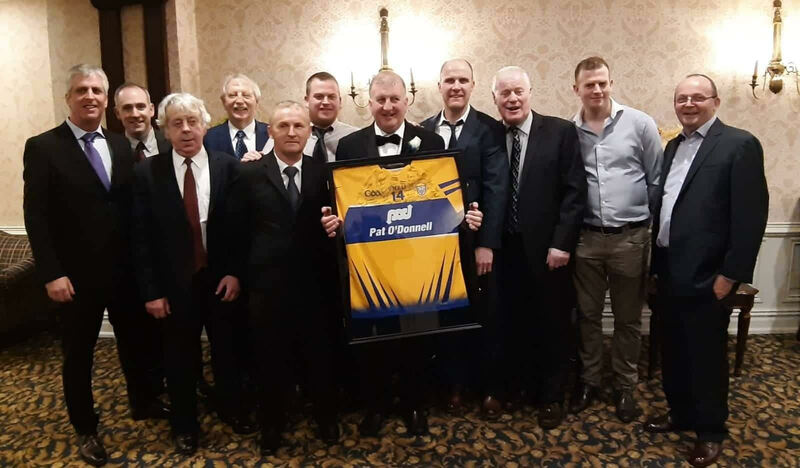 Clare native Pat Scanlan was honoured by the Gaelic Athletic Association of Greater New York at their annual dinner dance last weekend. The Lissycasey man was the invited guest of honour, as New York GAA paid tribute for his many years of service. Pat was an active member of his native club in his youth, and represented the maroon and white at all levels underage, and was part of the Lissycasey panel that captured the Clare Junior football title in 1982. Having spent some time on holidays in New York in the late 70’s, Pat decided to make the move stateside in 1984, and was elected manager of the local Clare side four years later. He switched to managing the Longford team in the early 1990’s, before taking up the reins once more with Clare in 1997. He served three terms as chairman of the Junior Football Division, but perhaps his biggest moment for New York GAA came when he was manager of the team that beat Sligo in the FBD League Final in Gaelic Park in 2004. Pat says it’s huge honour for his and his family, and admits it was emotional to be surrounded by so many of his fellow county men. “It was a great feeling after so many years of service to get something back and be part of such a great night. There were people there from all over Clare, the likes of David O’Brien and Gerard O’Loughlin and Conor from Miltown, Paul O’Connor and Joe Egan from Kilmurry, and plenty more. There were three girls from Kildysart who were my room-mates when I moved here in the 80’s.My sister and niece were over here too and it was a tremendous night which meant a lot to me. There are a lot of people I am thankful to for this honour, and I want to thank the Lissycasey club, the county board and all the sponsors of the night” said Pat. When the Clare Diaspora reach Yonkers, there’s one spot you can be guaranteed to hear the Banner roar, and that’s Ned Devine’s Bar. Pat runs it along with his business partner Kevin McMahon from Ennis. When Pat came to New York first, he worked in the construction industry, and again there was a Clare connection. “When I came here first, I got into the construction business and I worked with a guy called TF Meaney from Coolmeen. He was known as TF but out here he was known as Tom. I worked with him for a good while and then I started part-time bar tending near Gaelic Park. I came then to the East side in 1998 and we have had some great times. We have had the Clare team out here for a few training sessions and let me tell you, some of those training games were quite psychical” he laughed. Pat also plays a key role in helping to raise funds for the Clare senior footballers, and is heavily involved in the Clare Football Supporters Club. It’s something that he says he is glad to do. 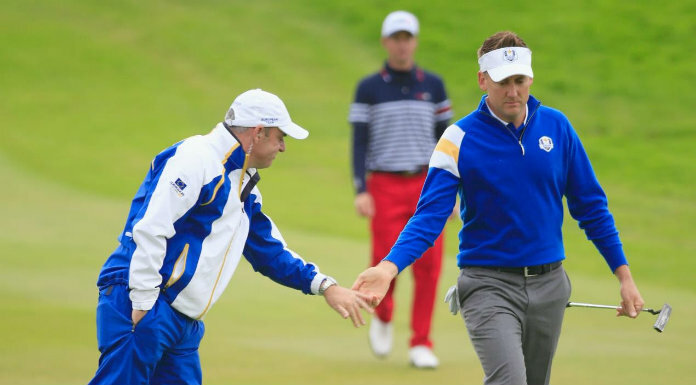 “It’s great to be able to give the lads any help we can and I enjoy talking to Colm Collins. We are trying to keep the support coming, and the likes of Joe Egan, Senan Clancy, Tom Moroney, Jimmy Downes and all the lads out here are doing great work to keep it going. Keeping the connection with home is quite important to us. We listen to the games when we can and get The Clare Champion every week and the first thing we turn to are the sport pages” he concluded.